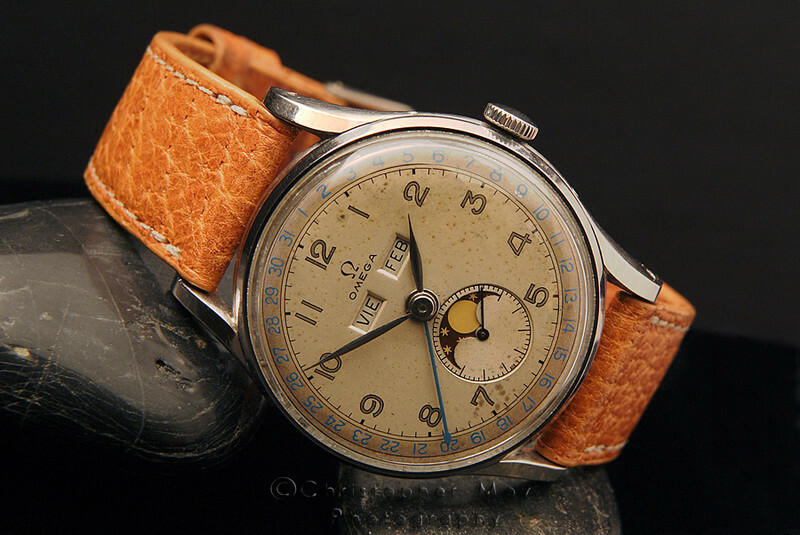 **We did not have a strict rule about having or not "swiss" or "swiss made" printed at the bottom of the dials. It is also possible that during a maintenance service, such inscription has been either omitted or was not applied when new. We have both versions in our Museum for the identical watch reference... Basically, such markings were not officially required to be made visible at those days. They are now and we print the "swiss made" on every single dial. ** This info was provided by John R. Diethelm at Omega. Bought from Novo Rodalfo Mario, Argentina, on Dec 12, 2002. Manufactured on December 1946 (movement only) delivered to our Agents in Uruguay in March 1948 as a complete watch of ref. CK 2471.